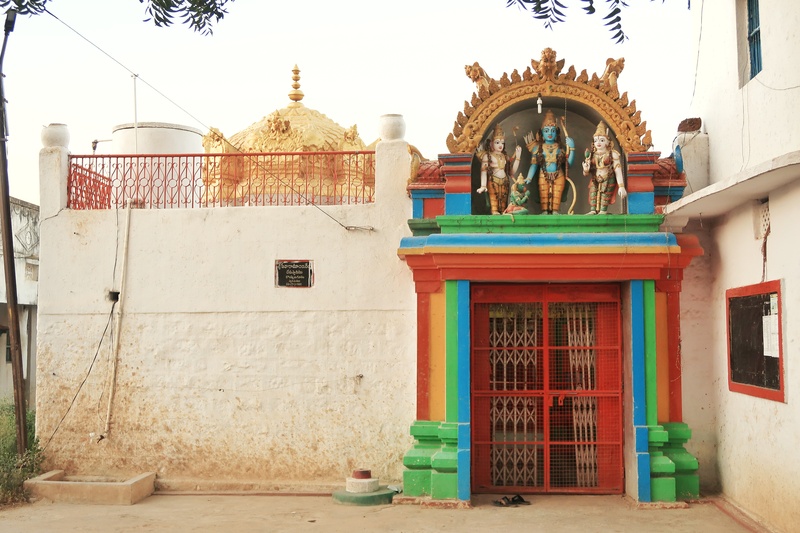 Pochampally, the word itself brings colourful flashes of various varieties of handlooms, colours and fabrics. My keen interest in sarees and ikkat brought me to this beautiful weaving village called Koyalaguddem. 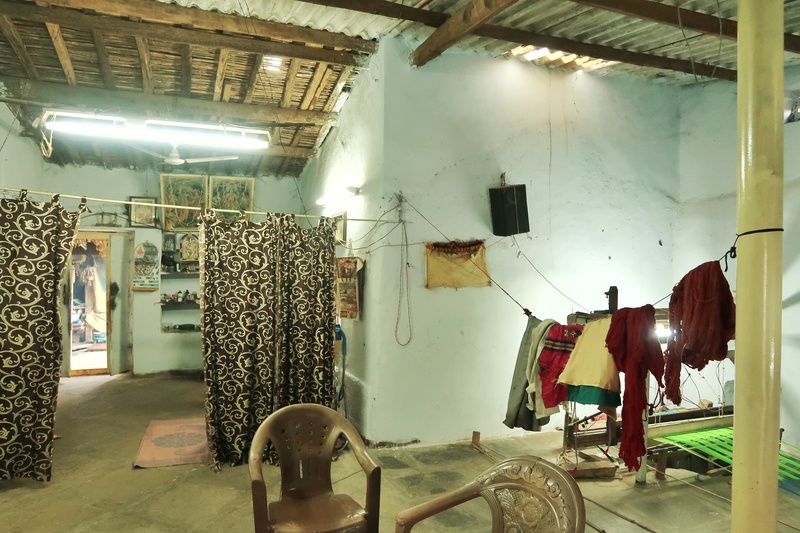 Located just 60 kilometres away from Telangana in Nalgonda district Pochampally and its weaving villages are every textile connoisseur’s paradise. 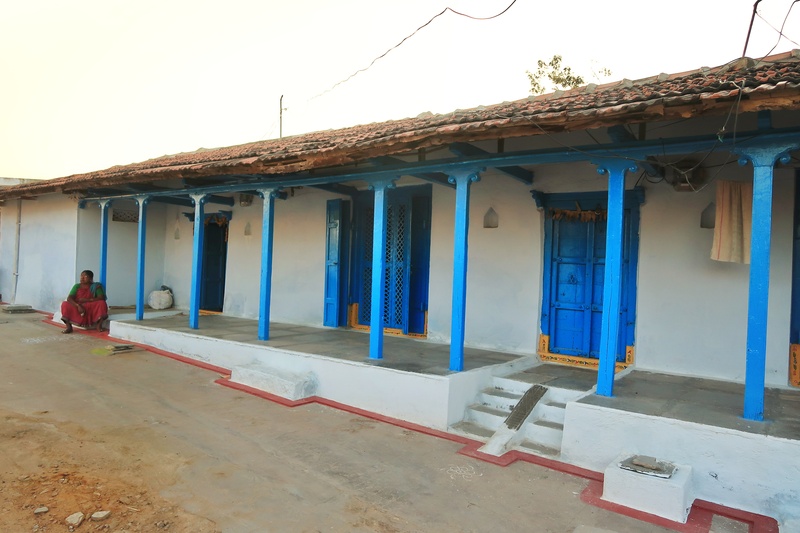 Pochampally houses a lot of villages where weaving is done in every house and hence calling them weaving village is totally justified. 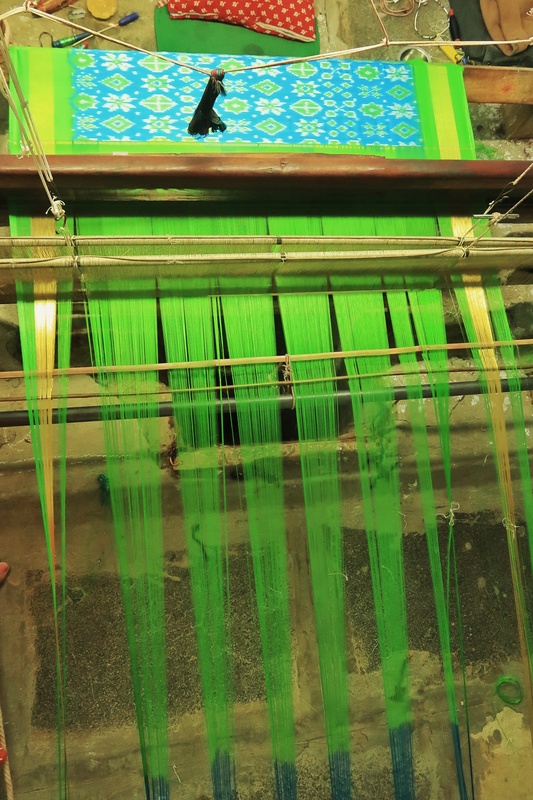 Pochampally, Koyalgudam, Choutuppala, Siripuram, Bhuvanagiri, Puttapaka and Gattuppala are some of the popular weaving villages. For our visit, Koyalaguddem village was zeroed by Durga Ji from Breakaway. Watch this video to get an idea about all the processes involved in making of ikkat in Pochampally. Koyalaguddem village took me into the state of denial for it being a village. 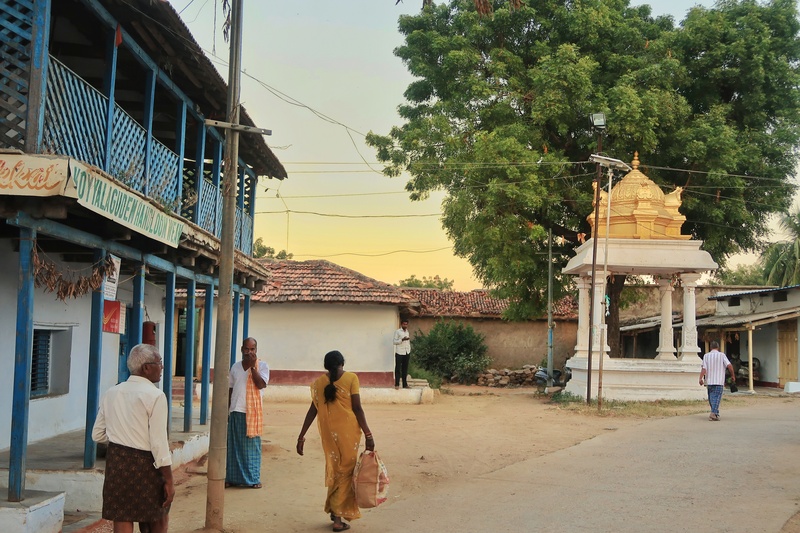 The tidy roads, colourful doors and temples of this quaint village took me by surprise. It didn’t look like a village at all. A leisurely stroll in the village gave me the sneak peek of looms in every house. 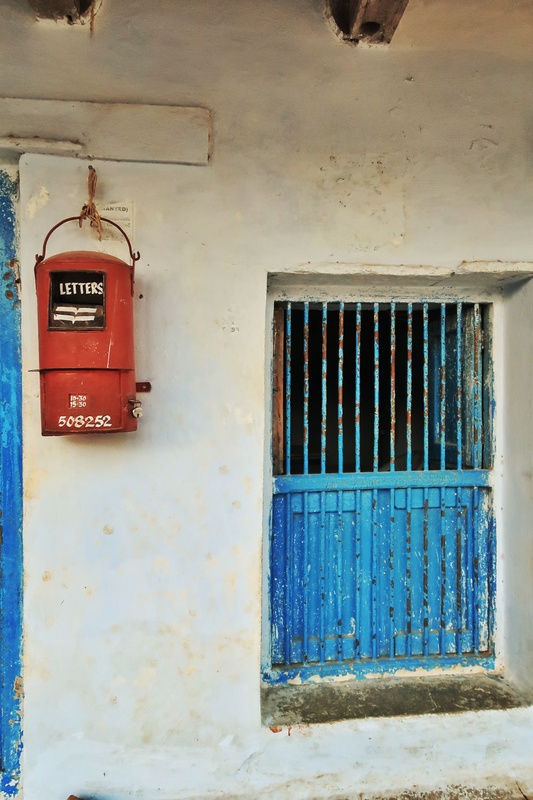 From the cracks of the open door, we could see the traditional loom set up in every house. 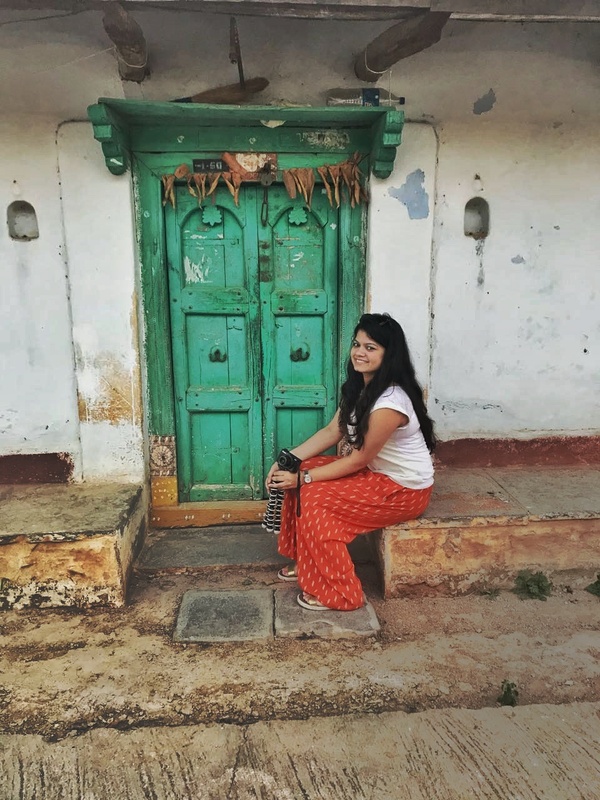 Because Koyalaguddem village has colourful doors and how can I miss posing in front of them. 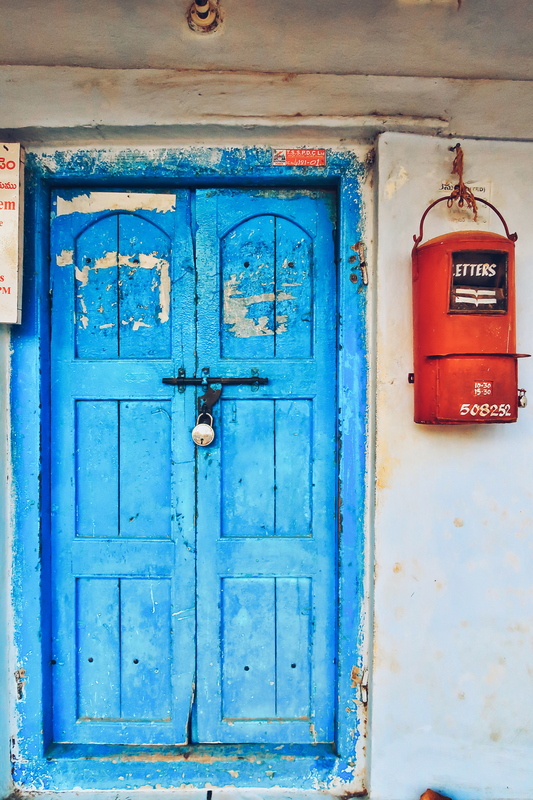 The colourful yarns kept outside every house for drying and the brightly painted doors created a balanced coloured pallet frame everywhere. For a moment I totally forgot that we are here for a purpose and not just to roam around the village. And the purpose was to enlighten ourselves how seamlessly the ikkat weaving in integrated with the daily lives of the villagers. Ikkat means to bind. It is a dyeing technique which uses the resist methodology on yarns for dyeing. It is essentially the traditional tie and die mechanism on cotton as well as on silk. Koyalgudem is famous for manufacturing and exporting intricate patterns of ikkat fabric. 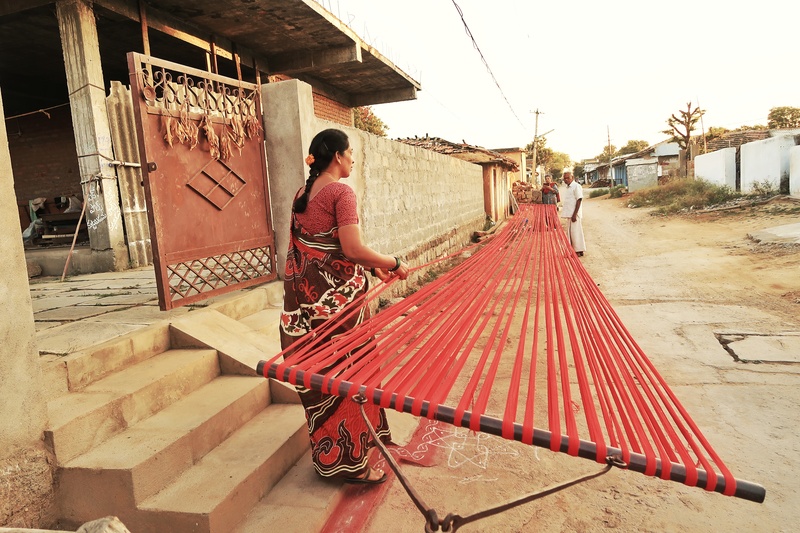 The ikkat fabric produced in various weaving villages of Pochampally is unique for many reasons. One of them is the weaving of double ikkat. Ikkat is generally either warp or weft depending on whether the tied yarns are placed on the warp or weft. But double ikkat involves a good balance of both warp and weft resist. India is one of the few countries where double ikkat is done. And Koyalgudem in Pochampally is definitely contributing a huge share to the whole production. 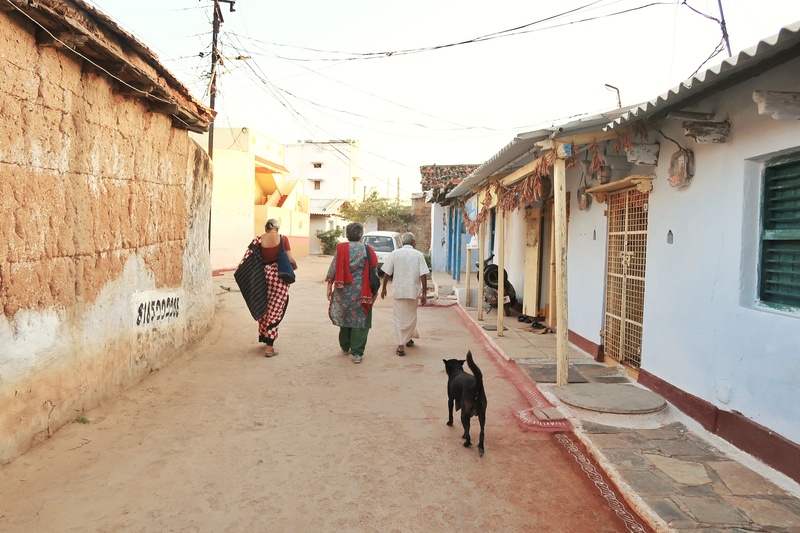 After spending some time admiring the village we decided to visit a weaver’s house. A warm welcome with bright smile ensued the opening door. The pit loom setup with colourful yarns on one corner, rice and tamarind spread on the other corner with television, radio and the whole household just behind the curtains. This view made the fact that weaving is an integral part of their lives very evident. Loom setup on one side and the whole household behind the curtains. As the day ends the weaver collects all the yarns to keep inside the house. Durga Ji told us that the weaving process needs help from every family member. If the husband is weaving in the pit loom, then the wife would be marking designs on the wrap thread, the elderly in the house would be counting threads and the kids help in all the running around jobs. It was so heartwarming to see that they had their own happy world in which they lived creatively. Not caring about the competition and market trend they just focus on weaving. “This is all we know, this is what we have done all our lives and we will continue doing this only,” said the lady beaming with ear to ear smile. It would be totally justified to say that in this village life revolves around weaving. The beautiful colour contrast of Ikkat on silk. Ikkat on silk captured live inside a weaver’s house. Pochampally ikkat from dying a slow death by forming Handloom Corporative Society. All the weaving villages have a Handloom Corporative Society which acts as a marketplace for the household weavers. These societies are supported by the State Government. 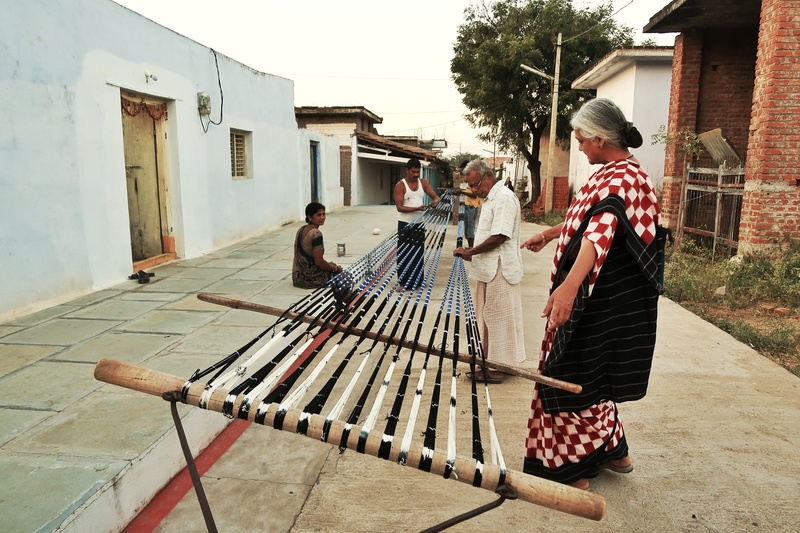 They help the household weavers by providing them with the raw materials. And buying the fabric once they are done weaving by giving upfront payments. The biggest challenge in front of weavers is the marketing their handloom. And these societies help the weaver cater these issues. They have been undertaking various activities to promote the growth of handloom industry, more specifically the development of handloom weavers in Andhra Pradesh. 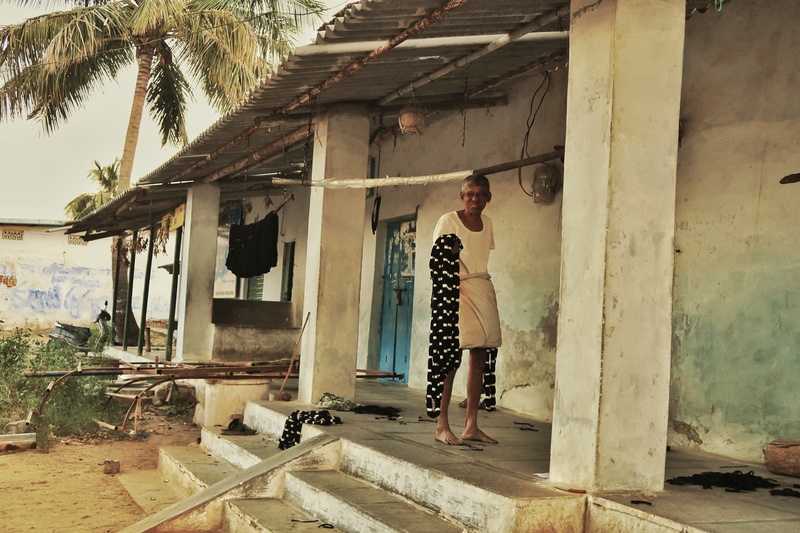 As I stepped into the corporative society of Koyyalgudem village I could see piles and piles of ikkat handloom all around me. 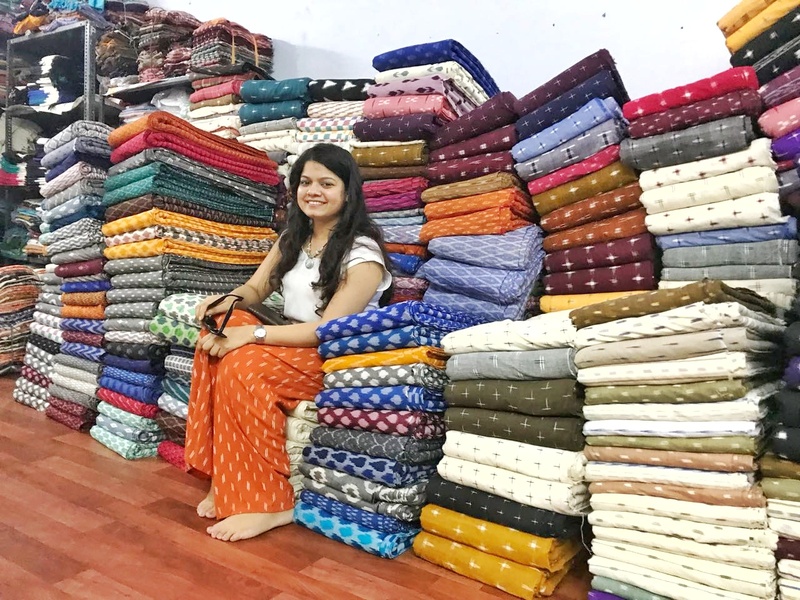 They had fabrics which could be bought in meters, dupattas, bedsheets, wallets, curtains, fabrics for upholsteries, fabric for men apparel and a lot more. It is a heaven for ikkat lovers. More than half of the store was not available for sale because they were ready to be shipped out. That alone spoke a lot about the progress of ikkat handloom in the market. My eyes lit up seeing the intricately done patterns and the colourful handloom all around me. 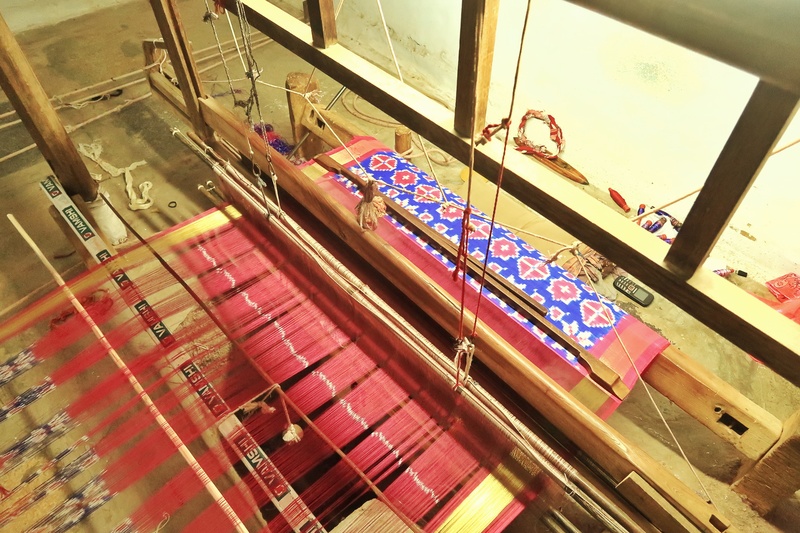 A small village with just few hundred weavers is doing their bit just to make sure the traditional art of ikkat lives through many generations ahead. If ikkat or handloom or textile interests you then you might consider taking a trip to Pochampally. You will come back as a different person and you will never see any piece of fabric as being ordinary. 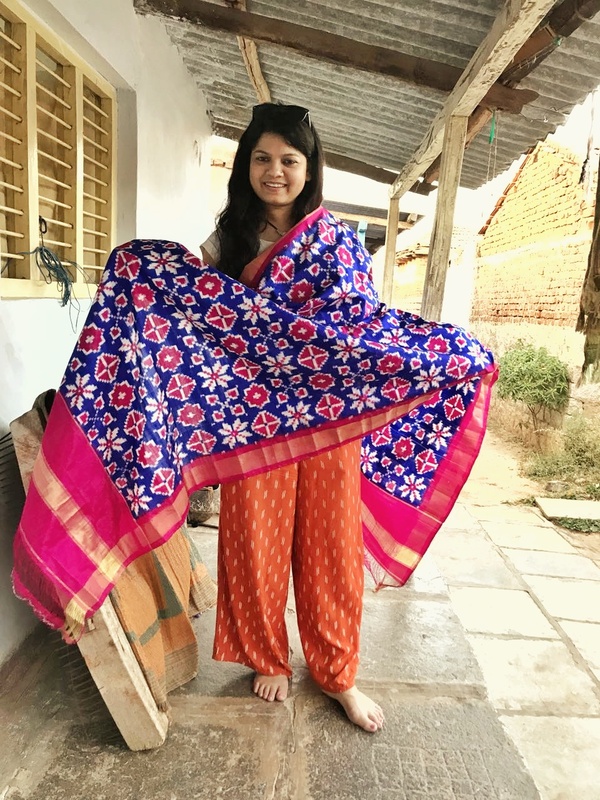 I did the textile trail in Pochampally with Breakaway and I recommend them with all my heart. Can we buy from Weaver’s? This is beautiful.. In what language you conversed with them?? They know Hindi?? No most of them know only telugu, we had one person with us who could converse in Telugu so that helped us.